Google recently announced major changes about responsive websites for mobile friendly search results. When you require most relevant search results on a mentioned query it becomes necessary to explore more deep with the results. To make your task more searchable and easiest with desired results, Google has announced two major changes on mobile friendly content search results. As per Google states, initially we had configured changes to show websites which are mobile friendly and amended algorithm to show most nearest mobile based website’s results. 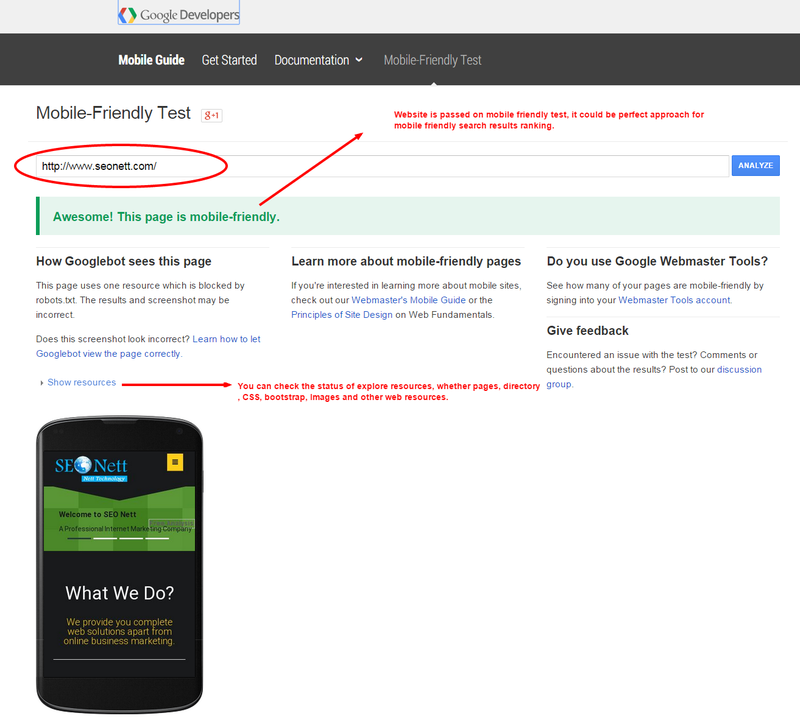 Consequently, we have built some important tools to get your website tested for being mobile- friendliness. If you are not complete aware about latest important changes go to our webmaster central blog and check the Ping information in right hand side of the blog. Here I have shown it as an image. 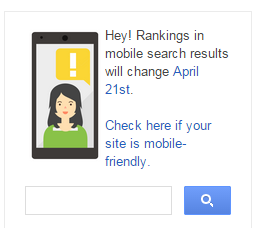 Starting on 21 April 10, 2015, Google will start expending the use of mobile–friendliness as a ranking signal. The upcoming update will affect the mobile searches for worldwide language. Now what you will check for searches, that will be most relevant and high quality search results specifically optimized for those devices. Google has provided us facilities to check website’s status through its tools. Here is the link for mobile friendly test that let you know the live status of website. Consider, Checking the status of limited pages of this website, you will see the desired testing result right below in the images. 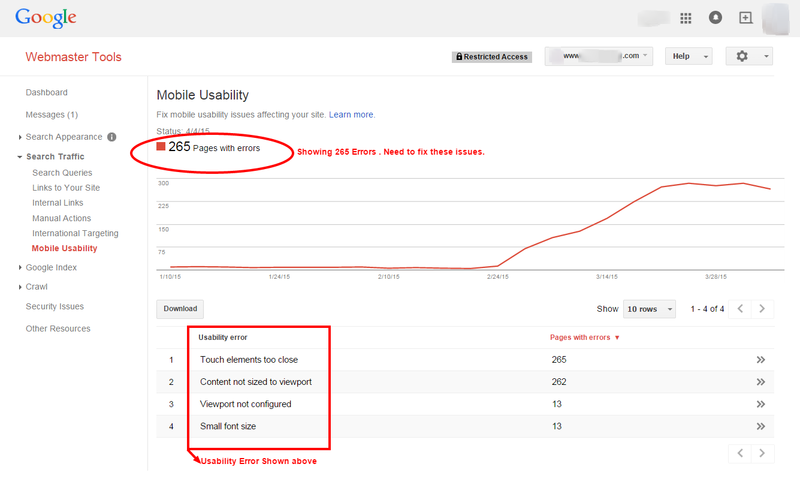 There is another option to get your websites all pages tested through Google webmaster tool. If you have your own website and want to check status of all pages, just go to the mobile usability report within "search traffic" section. In above image you are seeing 265 mobile usability errors. You need to have attention on them and fix soon. Start your complete analysis and overcome the all issues. If you believe that you are not sure to get rid of these issues just contact at webmaster help forum.